This is one sidekick who definitely comes in handy! Your R2-D2 Interactive Astromech Droid figure is packed with all kinds of features to help you fight the dark side—or just have fun throughout your day. 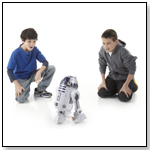 This exciting little friend rolls, spins “dances” and plays music, “remembers” and reacts to famous Star Wars characters, guards your room, plays multiple games and can even find and follow you! And with awesome features like an illuminating light beam, infrared location sensors, an adaptable droid mood status indicator, a rotating dome, motorized indoor-terrain treads, a beverage holder and manipulator arm and special “secret” features, this figure is sure to keep the fun going for “light years”! Your child can rock out and learn with the VTech KidiBeats Drum Set. This drum set for kids comes with a pair of drumsticks that can be used to tap the four different electronic learning drums. Your child can drum freestyle or play along to nine pre-set melodies in a variety of musical styles. Or for more structured play, they can follow the lights on the drums as they learn about letters and numbers. With four ways to play and a variety of fun sounds, your child will love learning to the music with this educational toy. A press of BeatBo's tummy or any of the buttons on his feet activates fun songs, learning content and dance moves. This futuristic friend even allows mommy or baby to record a phrase, and he'll remix it into his favorite song! His 3 modes - Dance 'n Move, Learning & Games, and Customized Sing-Along - "grow" with baby to make him a fun, entertaining companion for years to come! And all the while, he's introducing baby to letters, colors, counting, music, cause & effect and much more! Count on plenty of learning fun and musical rewards with this delightful friend. Baby will learn about counting, colors, animals and sizes with songs, music, speech, and activities that respond to baby. There are 10 colorful coins to drop into the slot while counting along, comparing big and small, and discovering mommy and baby animals. Press the piggy’s snout for musical responses, open the door for put-and-take play, and enjoy fun sing-along songs. 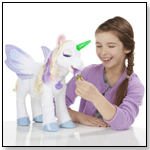 Make learning more fun with the Laugh & Learn collection of toys. With rich music, sing-along songs, and lots of activities, they combine early academics and everyday experiences—for the way kids really learn! Requires 3 "AAA" alkaline batteries (included). Other products from MOBI Technologies, Inc.
Why listen to music through an uninspired device? Music is rich, blooming and moves with feeling. 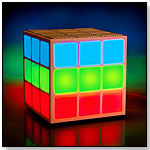 MOBI Cube brings the experience and passion of music through light. Uplifting your music experience through light and sound in a modern design. Bluetooth connection or Aux wired input. Features Special Music Sync Light Show mode. Light Show On/Off with 5 modes. 6-Hour rechargeable Li-ion battery. Power/battery indicators. Compatible for use with all Bluetooth enabled devices. With the Mobile Device Microscope, kids can turn their SmartPhone or Tablet into a MICROSCOPE! Kids can examine bugs and minerals up close and personal. Turn your device to camera mode, and attach the mini-microscope to the camera's eye - suddenly, you have a microscope! 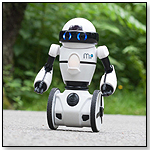 Meet MiP, Your New Robot Friend! Equipped with GestureSense™ technology, any hand motion controls MiP. Using its free app, you can drive it, play games & more all while MiP balances on two wheels! Go on a trip with the Go! Go! Smart Animals Zoo Explorers Playset by VTech. Explore and learn about animals, colors and more with the SmartPoint rhino and electronic zoo entrance. You can also connect to other playsets including Go! Go! Smart Wheels for even more fun! 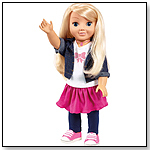 My Friend Cayla is a one of a kind interactive doll. She uses wifi to connect to Google, giving her the ability to answer kids questions. She can also talk to them conversationally. Augmented Reality (AR) flashcards. See the flashcards come alive with any tablet or phone with a camera. Just download the free app and instantly the images on the flashcards come alive in full 3D and rotation. Fun facts and audio included. 3 styles available, Animals, Letters and Numbers. 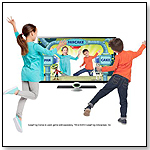 Gaming just got smarter with LeapTV, the educational, active video gaming system built just for kids ages 3-8 years. Kids learn through motion as they jump and dance through innovative, engaging curriculum. With a library of 100 LeapFrog educator-approved games and videos, kids never run out of fun. The Mark-My-Time™ 3D Digital Bookmark is a convenient, easy to set timer to count down or accumulate reading time. Motivational - encourages kids to read often and independently while helping them to record time for school or library reading logs. Portable - Encourage reading anytime and anywhere with a design that can remain in the book and be “on the go” like you are. Time is stored in the bookmark until you delete it. This bookmark is ideal for timed math fact activities, music practice sessions, homework study sessions and more. Parents and teachers across the country confirm that Mark-My-Time bookmarks are a great way to get kids excited about reading and wanting to read more. Made of durable polyethylene plastic and now available in three cool 3D Royce animal images, a Snow Wolf, Turtle Town and a special “in motion” T-Rex which transforms from reptile to skeleton. These exciting new bookmarks will be shipping, just in time for the holidays at only $11.95. Take the ultimate safari adventure with this fully loaded 12 in 1 National Geographic Animals kit from Laser Pegs! Animal enthusiasts everywhere will love building models of their favorite wildlife friends like the Elephant, Giraffe, Lion, Rhino, and many more. Pump up your playtime by lighting up your creations to extend your safari well into the night! — Teresa Derry, owner of Annie's Toy Chest in Cocoa, Fla., told TDmonthly in a November 2014 survey that Laser Pegs is one of their store's top-2 best-selling toy lines. Looking for a fun way to teach reading, writing and arithmetic? The Educational kit from Laser Pegs comes with 12 Letter Blocks, 12 Number Blocks, 12 Word Blocks and a 3D Lite Board with 39 FUN games to play! Each block contains an LED that illuminates when connected to the 3D Lite Board. Combine and stack the blocks any way you can to make different words, sentences and equations. 100% compatible with all other Laser Pegs® construction kits so you can build and learn at the same time. The brightest creepy crawlers you’ve ever seen exist in this incredible 12 in 1 Spider kit from Laser Pegs! Build your favorite insects like the Grasshopper, Scorpion, Praying Mantis, Ant, and many more. What do you get when you combine the DNA from a skunk and a pig? Answer: a Skoink! The Skoink is a super soft and incredibly fun combination of a skunk and pig! The Skoink is a true favorite of the kids who like to express their uniqueness! Genetipetz are mounted on header cards that make them easy to display and explain for retail customers. These toys feature unique registration codes and free access to the Genetipetz Clubhouse to connect offline and online play experiences. What happens when you combine a Duck and a Flamingo? Answer: Quackalingo! The Quackalingo is a very vibrant mixture of a bright yellow duck and a chic flamingo! This toy is part of the new Genetipetz travel buddy collection. Perfect for trips to see grandma or just to curl up with a good book. Includes free access to the online Genetipetz Clubhouse where members can play games, learn about basic genetic science and interact with all the Genetipetz characters! What do you get when you combine the DNA from a leopard, a crab and an octopus? Answer: a Leopoctocrab!The Leopoctocrab is a very cool mixture of a funny crab, a spotted leopard and a clingy octopus! 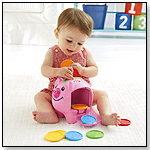 This toy features little suction cup feet to help it cling to smooth surfaces! Genetipetz are mounted on header cards that make them easy to display and explain for retail customers. These toys feature unique registration codes and free access to the Genetipetz Clubhouse to connect offline and online play experiences. What do you get when you combine the DNA from a fox and a hawk? Answer: a Hawx! The Hawx is the wild combination of a clever fox and soaring hawk! The Hawx is a fan favorite popular with both boys and girls, sure to “fly” off the shelves! Genetipetz are mounted on header cards that make them easy to display and explain for retail customers. 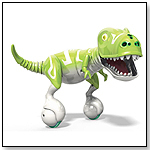 These toys feature unique registration codes and free access to the Genetipetz Clubhouse to connect offline and online play experiences. Unleash creativity with an educational, entertaining, and useful 3D printer. Choose from hundreds of thousands of free, predesigned, and ready-to-print educational, entertaining, and useful 3D models on Thingiverse. For even more design possibilities, pair the MakerBot Replicator Mini with the MakerBot Digitizer Desktop 3D Scanner. WikiBear is an interactive talking plush bear. It connects to an app via bluetooth, allowing it to access the internet and answer any question little minds might ask. It also remembers names and will interact with children, telling them it's hobbies or cracking a joke.